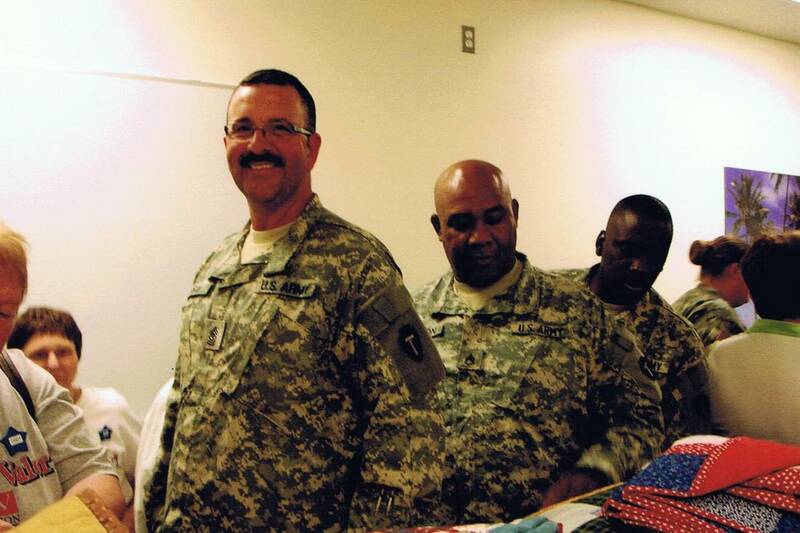 The mission of the Quilts of Valor Foundation is to cover ALL combat servicemembers and veterans touched by war with comforting and healing Quilts of Valor. 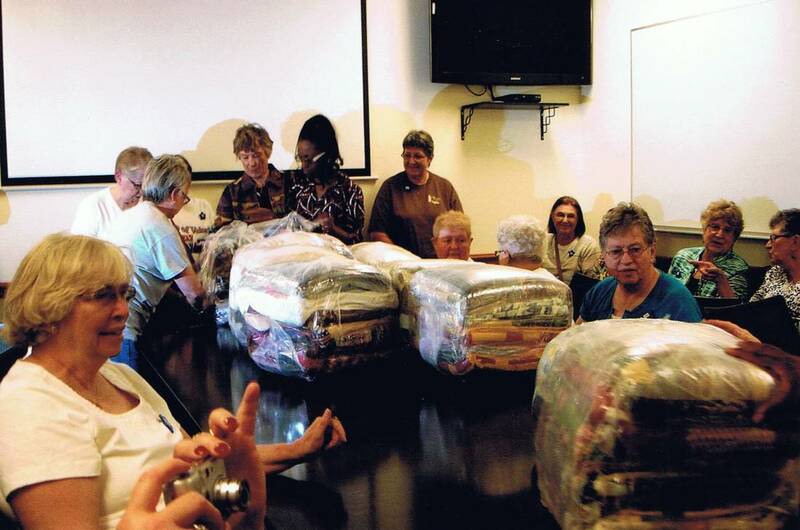 The Perham chapter of QOV started in August of 2005 with 8 quilters at the Heron House on Paul Lake. That year they delivered 12 quilts. Since then they have steadily increased their numbers. 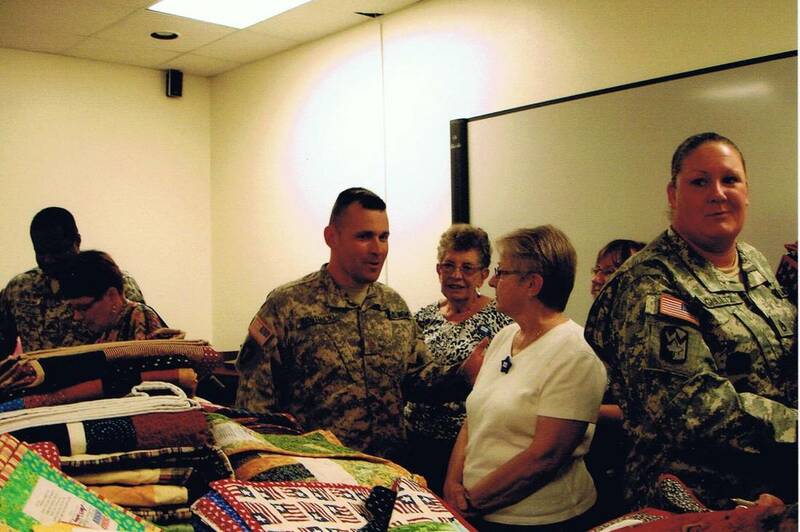 The majority of the 1027 quilts that were delivered to Fort Hood and Fort Sam Houston in October 2011 were made by the QOV groups of Perham, Saint James, and Fergus Falls. They meet twice a month on the first Wednesday and the third Tuesday at the Dent Community Center (the old elementary school building) from 9-3. They cut kits, sew kits, hand sew bindings, pack up quilts, batting and backing into kits for machine quilters and pack completed quilts. They can always use more help and especially more machine quilters! Their quilts have been delivered to many places, from California to Alaska to Florida to Minnesota and Wisconsin. For more information, go to www.qovf.org. Read a letter from one of our recipients. More photos can be found on the QOV Photos page.